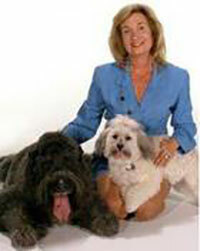 My name is Risë V. Siegrist and I am a dedicated and successful real estate professional in this local area. My personal goal is to simplify the process of buying and selling real estate, and to satisfy everyone’s needs to the best of my ability. My extensive experience and proven track record are factors you can count on when working with me. I use the latest technology to understand the current market and to make the connections necessary for our success. Please enjoy my website. It is just one of the many successful tools I use to assist my clients in marketing their real estate. Over 20 Years of Professional Real Estate and Paralegal Experience. Full-Charge Real Estate Closer with strong skills in title research, estate planning, probate and tax deferred exchanges. Preparation of Settlement Statements, Conventional, FHA and VA Mortgage documents including Notes, Mortgages, Title Policies and Sellers Documents. Work closely with title companies, loan officers, government agencies, investors, surveyors, inspectors and insurance companies to resolve underwriting issues. 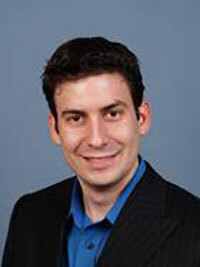 My name is Sean Siegrist and I am a successful real estate professional in the Palm Beach Area. My goal is to help you with the process of buying and selling real estate, and to satisfy everyone’s needs to the best of my ability. My extensive experience and proven track record are factors you can count on when working with me. I use the latest technology to understand the current market and to make the connections necessary for our success. Please enjoy my website. This is just one of the many successful tools I use to assist my clients in marketing their real estate. Gene Siegrist started his mortgage career in 1973, in Detroit Michigan. Working through all aspects of the servicing of mortgage loans for a major lender. Gene decided that he wanted to move into the production end of the mortgage lending industry. It was at this point that Gene decided to move to Miami, Florida, where he took a position with J.I.Kislak Mortgage. Mr. Siegrist traveled back and forth between the Newark, Jew Jersey, and Miami offices training loan officers. Over many years originating mortgage loans, Gene then took a position with Rochester Community Savings Bank, located in New York, with offices up and down the east coast. Mr. Siegrist moved up the corporate ladder at RCSB to become a Vice President and Area Manager for Dade and Broward County. 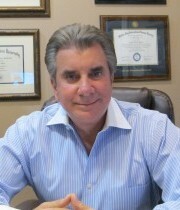 After many years with RCSB, Mr. Siegrist opened his own mortgage company in the 1990’s, First Investors Mortgage Corp. Even though he was president of the firm, he never stopped helping families attain their dreams of owning a home. With 39 years of mortgage experience, and willing to go the extra mile, Gene can offer you, without a doubt the best solution to your needs at the best price available.